Lightweight and flexible work boot with Poron XRD® metatarsal protection offers comfort of use and all-round protection. 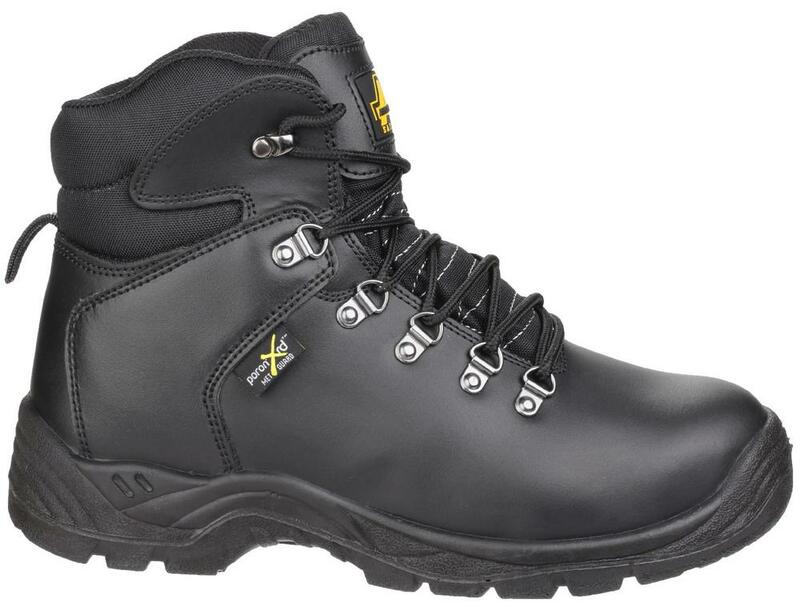 Rear pull-on loop allows the wearer to put on or remove footwear with speed and ease. Five hardwearing industrial D-ring lace holds and upper speed lacing hooks. 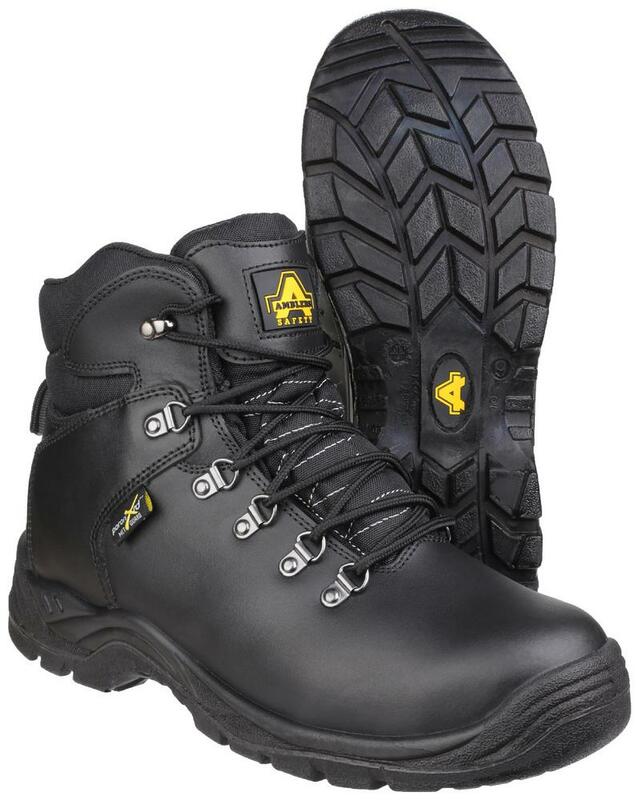 Dual Density PU outsole: exceptional abrasion resistance and ideal for environments where oils and solvents are used. Deep grooves in the outsole offer great slip resistance and meet SRC standards. 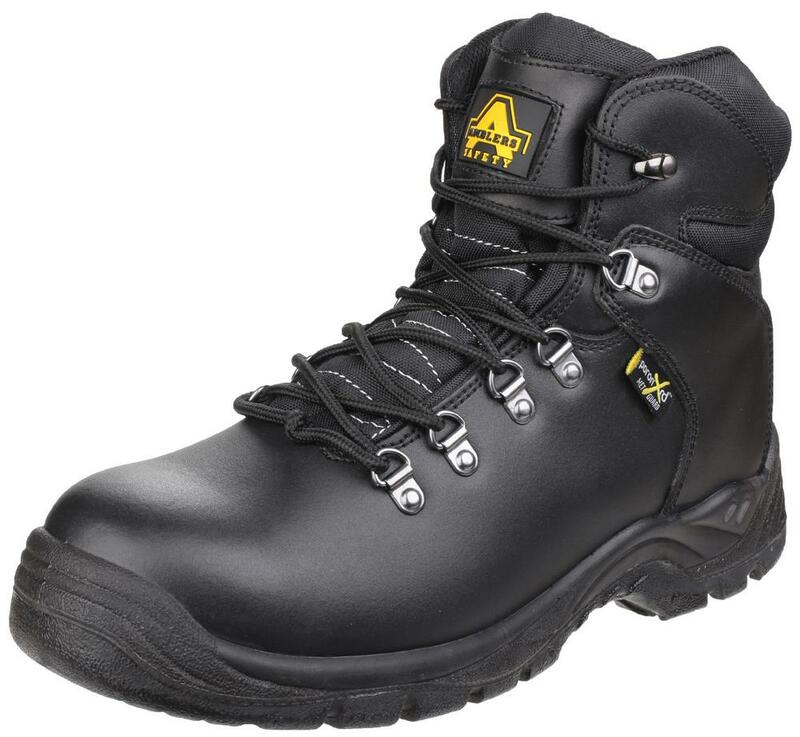 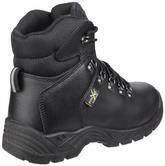 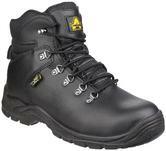 Amblers AS335 Moorfoot Safety Boots conforms to: EN ISO 20345:2011 S3 M SRC.